Exercising the brain can stimulate better performance and results during our physical activities. 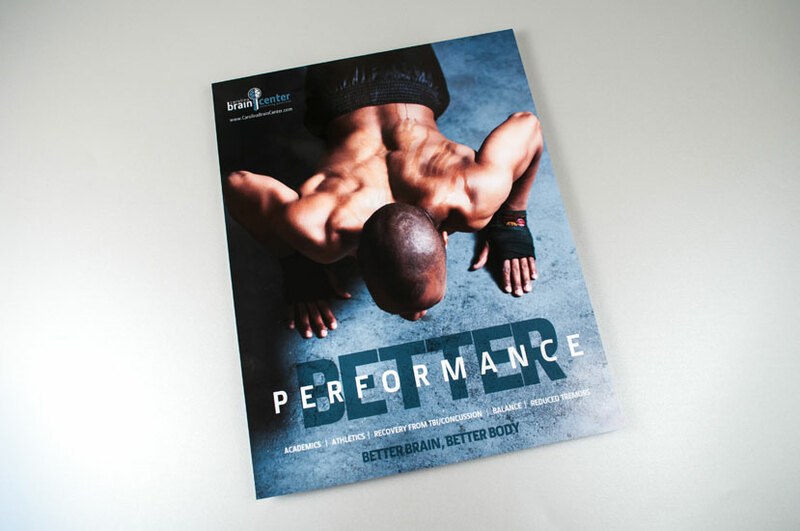 This Improve Fitness Performance Ad for Carolina Brain Center provides a dramatic message posing the question – are we being all we can be? Gritty typography and strategically framed photography help communicate the Carolina Brain Center’s message. Contrasting blues, grey and blacks maintain the practice’s branding while working to generate a striking advertisement sure to catch they eye of the viewer. The Carolina Brain Center’s mission is change lives, families and communities through the ground-breaking and innovative medical work they do. This advertisement reflects the practice’s dedication to brain health through innovative techniques and proven solutions.